Adhesive joints are widely used in the construction of modern automotive vehicles. These are not only adhesive joints, but also, connection between coating and steel substrate. The paper presents the results of tests of adhesion of the putty coating to the steel substrate using the ultrasonic method. A reflection coefficient |r| of longitudinal wave was used as a measure of adhesion in the area of the adhesive joint. The tests were performed for joints of car body sheet and a putty coating. In order to obtain different quality adhesive joints, the surface preparation of the steel sample was varied. The obtained results show that it is possible to estimate the adhesion of the adhesive coating to the steel substrate based on ultrasonic measurements. The smaller is the value of the reflection coefficient |r| the greater the mechanical adhesion of the coating to the substrate. 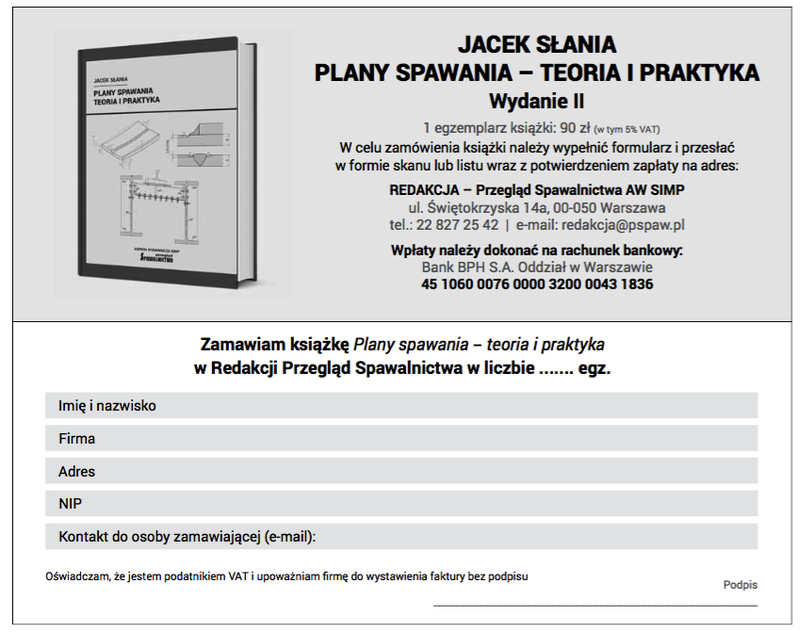 M. Żenkiewicz, Adhezja i modyfikowanie warstwy wierzchniej tworzyw wielkocząsteczkowych, Wydawnictwo Naukowo-Techniczne, Warszawa (2000). T. Biestek, S. Sękowski, Metody badań powłok metalowych, Wydawnictwo Naukowo-Techniczne, Warszawa (1973). M. Jósko, Metodologiczne aspekty oceny przyczepności powłok regeneracyjnych metodą ultradźwiękową, Wydawnictwo Politechniki Poznańskiej, Poznań (2002). A. Pilarski, Ultrasonic evaluation of the adhesive degree in layered joints, Materials Evaluation (1985), vol. 43 (6), 765-770. J. Chen, X. Bai, K. Yang, B.F. Ju, The computations of reflection coefficient of multilayered structure based on the reformulation of Thomson- Haskel method, Ultrasonics (2012), vol. 52, 1019-1023. Dobosz K., Matysiak A., Powłoki ochronne w pojazdach samochodowych, Warszawa, Wydawnictwo Komunikacji i Łączności (1986).